Flo Snook whose beautiful multimedia work explores the relationship between people and landscape. Sarah Mitchener whose expressive and ethereal watercolours are back after having been recently exhibited with Shirley Trevena RI. Stephanie Else whose fabulous glass pieces combine a vibrant use of colour with sparkling light. Gillian Bates whose stitched artwork is a pure celebration of the quirkiness of British life. 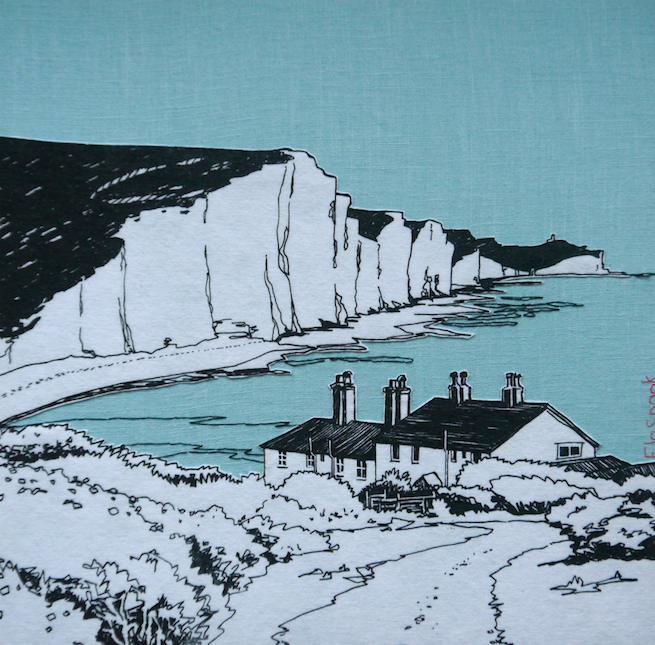 Sue Collins with her vibrant lino-cut prints encapsulating the ever changing downland.